Wi-Fi 6. IEEE 802.11ax. High-Efficiency Wireless (HEW). Call it what you will, but it all means the same thing: a new standard for wireless networks. The Wi-Fi Alliance introduced the name Wi-Fi 6 last October in an effort to simply the naming process for Wi-Fi standards going forward. The standard will release fully sometime in 2019, and network professionals are no doubt excited for what it will bring to their network. Wi-Fi 6 promises to bring several improvements over previous Wi-Fi standards that will increase the effectiveness of Wi-Fi performance. The features of Wi-Fi 6 assure better network performance for users with faster speeds and less congestion. These changes will obviously please end-users, but what does it mean for your network? Are network performance monitors (NPMs) prepared to handle the increased performance levels projected by network experts? We’ve analyzed the forecasted elements of Wi-Fi 6 to determine how it will impact network monitoring and how we evaluate network performance. When it comes to network performance, most end-users only care about one thing: speed. This makes sense, considering the only thing they’re really able to see is how fast their Internet is running. Wi-Fi 6 is expected to increase network speeds by a significant amount. For network engineers, the challenge in monitoring performance will be in knowing your NPM can keep up. Most NPMs provide continuous monitoring updates, analyzing network functionality and traffic flow in real-time. The challenge for NPMs will be to stay on top of everything as Wi-Fi 6 becomes formally adopted. 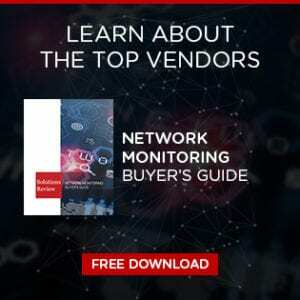 Quicker networks are nice, but if NPMs can’t check performance at the same speed, networking teams will have a harder time finding efficiency problems. A notable problem with Wi-Fi networks is poorer performance in areas with lots of connected devices. Wi-Fi 6 will combat this issue by introducing orthogonal frequency-division multiple access (OFDMA). OFDMA divides a network into sub-channels designed to carry data intended for different devices. This is not a new technology, but Wi-Fi 6 is the first major network update that will contain OFDMA capabilities. Splitting signals into different frequencies provides more space for user devices to transmit and receive data. That also means more specific channels for NPMs to monitor. OFDMA’s network partitioning will provide better performance for end-users, but will also streamline connection visualization for engineers. Networks grow constantly – that’s been well established. Wi-Fi 6 compatible devices are no exception to this rule. Thanks to multi-user multiple-input and multiple-output (MU-MIMO) support on both uplinks and downlinks, Wi-Fi 6 access points can manage more traffic and users than ever before. Combined with OFDMA, this could make network space skyrocket. That said, most networks will most likely be slow to reach full Wi-Fi 6 capacity at first. Networks and NPMs that can scale up and down automatically will be best prepared for the new capacity levels. Wi-Fi 6 is certainly an intriguing development for IT teams and engineers. The possibilities for Wi-Fi 6 network performance might be substantial, but only if NPMs adequately equip themselves for them. As Wi-Fi 6 development finalizes and ships out later this year, NPMs and network professionals alike should get ready. The future is coming – everybody needs to brace themselves. Next Next post: Agentless Network Monitoring: What Does It Really Mean?